EDJX, a distributed edge computing platform and decentralized peer to peer marketplace, has announced launch with $2M in funding from strategic investors, along with key partnerships with ITRenew, Advisian, and Chainyard. The company aims to power real-time applications at the edge by building the world’s largest edge computing platform using its blockchain-based management of serverless and container-based applications. The funding round included 6Fusion USA, Inc., and 4 unnamed private investors. The company intends to deploy tens of thousands of microdata centers called EdjPods to major metropolitan and industrial locations worldwide. The goal is to bring cloud computing closer to mobile and IoT devices to accelerate and secure edge applications. EDJX’s platform directs the execution of serverless requests to EdjPods in close physical proximity to mobile and edge devices. Serverless requests are transparently routed to the nearest EdjPod where they are executed inside of an isolated environment. As security is a big concern for edge use cases, each serverless request is validated by and recorded to a blockchain to create an immutable record of execution. Developed over the past 18 months, EDJX’s serverless edge application platform is now available in early-access. For IT operators and facility owners, EDJX also creates new opportunities to earn passive revenue while increasing the desirability of their properties. EdjPods are available at no cost to qualified commercial, industrial, and municipal organizations. Increase the appeal of properties to prospective tenants who are using edge computing to create smart buildings, cities, refineries, and factories. Create new passive revenue streams connected to the utilization of the EDJX network and EdjPods hosted on premises. ITRenew announced its partnership with EDJX to deliver EdjPod, powered by Sesame. EdjPod is a fully-integrated multi-node server platform for microdata centers and points of presence based on OpenCompute standards. Together, ITRenew and EDJX bring circular economy practices to the edge. Sesame is a recertified, warrantied, high-performance open compute and storage product line that maximizes lifetime value and sustainability of IT hardware. EdjPod, Powered by Sesame, is fully self-contained and includes 4 compute nodes along with wireless and network equipment. EdjPods are available in both indoor and outdoor configurations suitable for a wide variety of commercial and industrial settings. The companies expect to ship up to 10,000 EdjPods in 2019 through 2021 based on current and future designs. Advisian Digital, a division of WorleyParsons, announced a joint effort with EDJX to explore solutions to meet the needs of a growing Industrial IoT market in the Energy and Resources industry sector. The EDJX joint effort expands upon the companies partnership, which also includes Requis.com, a multi-vertical industrial asset supply chain online platform. Chainyard will unveil a suite of development and support services for enterprise customers to take full advantage of the EDJX platform later this year. The EDJX platform is available for early access to a limited number of developers and prospective customers. There are no fees for using the platform or edge computing capacity during the early access. Access to the platform will be granted incrementally as the EDJX network comes online. 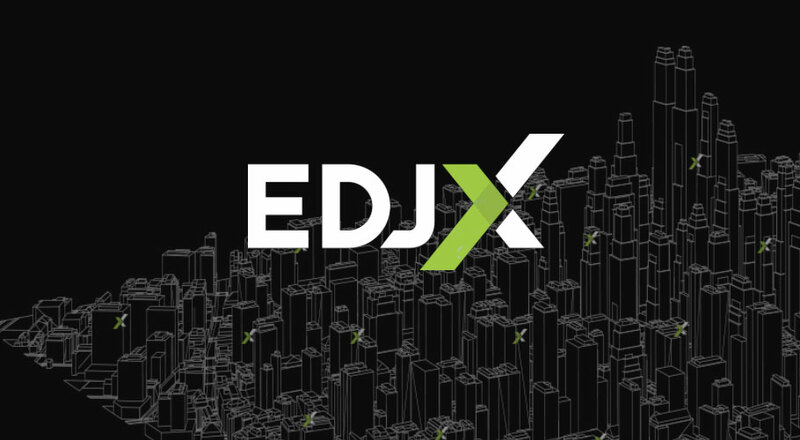 Interested developers and prospective customers should register for early-access at the EDJX web site.